Actor and comedian who came to lime light through Instagram, Broda Shaggi bought a brand new car for Aunty Shaggi. Aunty Shaggi is his interviewer on his popular comedy skit on the photopsharing App. 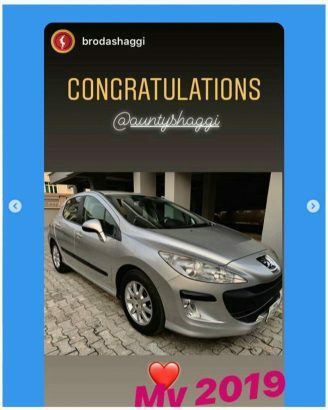 Aunty Shaggi who was very happy took to her Instagram page to thank her boss and also appreciated singer David Jones who had prayed for her earlier to get a great gift before the year ended. 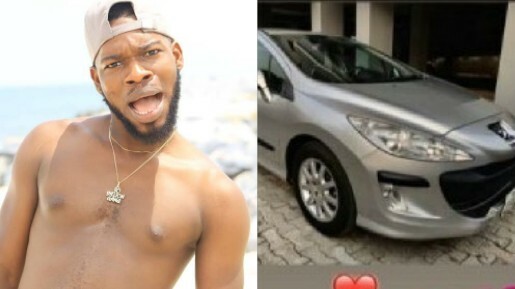 I remember, when I said on my story that” everyone was getting their wives/gfs cars, Lord can you see me” and I got one today….. my last minute miracle….. Thanks to @brodashaggi ….wooooooww greatest shock of my life. God bless you B ❤️. @davidjonesdavid your prayers last month….. thanks boss.